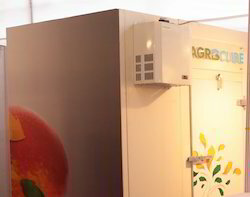 Offering you a complete choice of products which include Fruit Ripening Chambers such as Mandarin Ripening Chamber, Papaya Ripening Chambers, Banana Ripening Chamber, Lime Ripening Chamber and Mango Ripening Chamber. 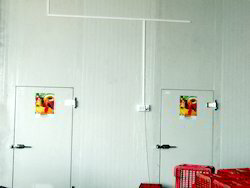 Owing to our vast experience, we have been successful in catering to the requirements of our esteemed clients by offering quality Papaya Ripening Chamber. With the help of these products, we ensure that papaya fruit is grown and ripened in a natural way. Our product-line helps in retaining the natural taste, nutrients, anti-inflammatory properties and enzymes like papain & chymopapain of papaya fruit. 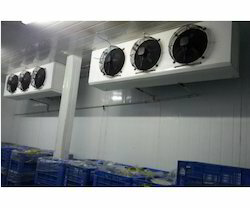 With our expertise in this domain, we are able to offer a superior quality range of Lemon Ripening Chamber. Our products are developed under the strict surveillance of our experienced and qualified professionals. These products are known for their sturdy construction and low maintenance. 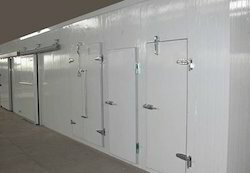 In addition to this, we offer turnkey solutions of ripening chamber with integrated cold storages with ethylene generators and automatic control system for the chambers. With the help of our experienced engineers, we are able to manufacture and supply high-quality Ethylene Ripening Chamber.